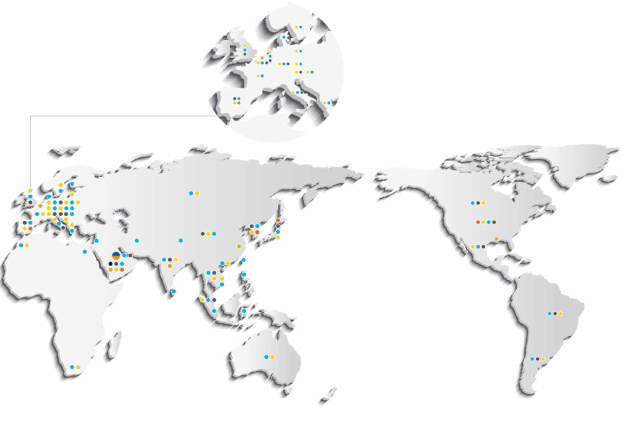 SABIC is a global company working on the challenges of a changing world.We have business operations in over 45 countries. SABIC innovations share one thing in every region and market:a positive and transforming impact on the lives of people and the environment. Argentina, Austria, Bahrain, Belgium,Brazil, Canada, China, Germany, Italy,India, Japan, Netherlands, Malaysia, Mexico,Saudi Arabia, Singapore, South Korea,Spain, Thailand, United Kingdom & Ireland,United States of America.